Sometimes it’s difficult to figure out if Elon Musk’s Hyperloop project is an idea, concept, dream or actual project, but one company in California is pushing forward toward making it a reality today. 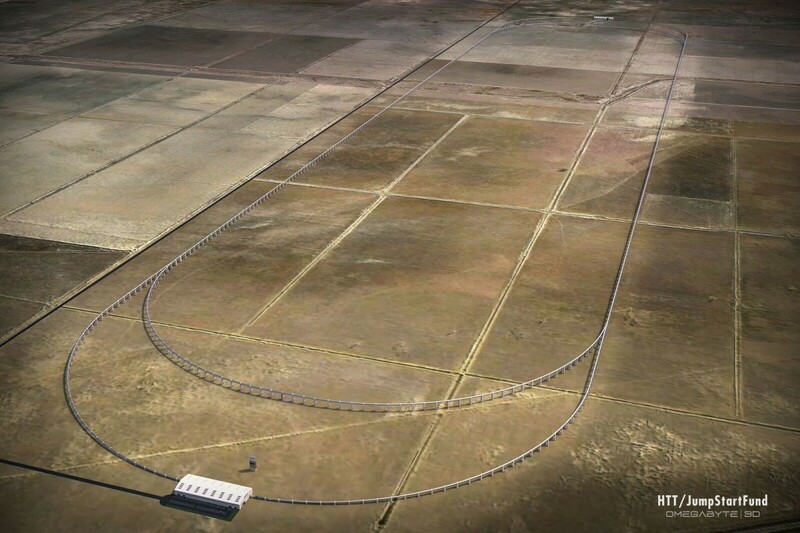 Hyperloop Transportation Technologies has announced today that it’s filed official paperwork with Kings County, California, to start construction of a test track in Quay Valley later this year. The company expects to kick off construction in the second quarter of 2016, and is currently selecting a company for the actual build after sending out a request for interest last year. According to a press release today, the company will start ‘on-site’ preparations in the next few weeks, which include taking soil samples, mapping out the terrain and determining pylon positions ahead of a full building permit. HTT is based on Elon Musk’s original open-source Hyperloop proposal from almost three years ago. The system uses a vacuum and a ‘pillow’ of air to propel a capsule of people at speeds of up to 700 miles per hour and can be constructed for a fraction of the cost of traditional rail. As the companies competing to build working solutions push forward, the project is quickly moving from fiction to reality. A similarly named, (but different) company Hyperloop Technologies, recently showed off it’s version’s tubing lying in the desert. HTT’s choice of Quay Valley is an interesting one, because it’s a concept city that doesn’t actually exist yet. The idea is to build a city of the future, only powered by modern transportation, solar panels and high-end technology… but nobody’s actually built anything yet. The company did, however, purchase the land it needs to use to build the project and says it’ll be ready for testing with the public in 2018.